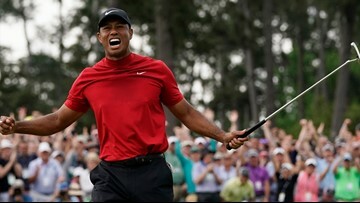 ST LOUIS, MO - AUGUST 09: Tiger Woods of the United States plays a shot on the 15th hole during the first round of the 2018 PGA Championship at Bellerive Country Club on August 9, 2018 in St Louis, Missouri. ST LOUIS, MO - AUGUST 09: Tiger Woods, Rory McIlroy and Justin Thomas walk on the third hole during the first round of the 2018 PGA Championship at Bellerive Country Club in St Louis, Missouri. 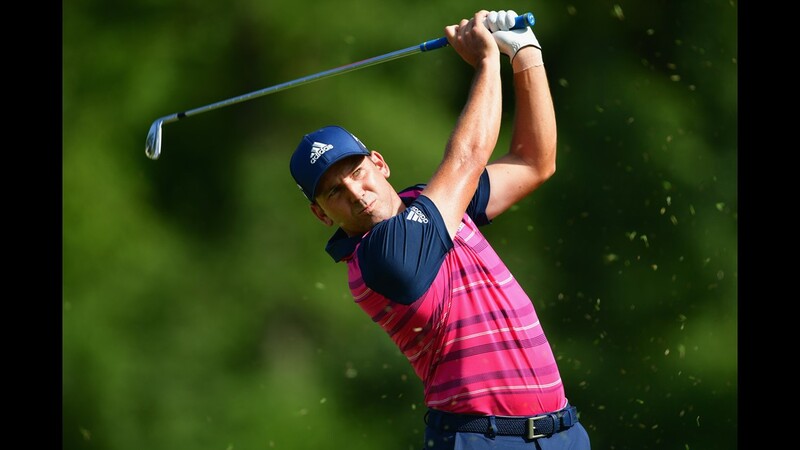 ST LOUIS, MO - AUGUST 09: Sergio Garcia of Spain plays his shot from the 13th tee during the first round of the 2018 PGA Championship at Bellerive Country Club on August 9, 2018 in St Louis, Missouri. 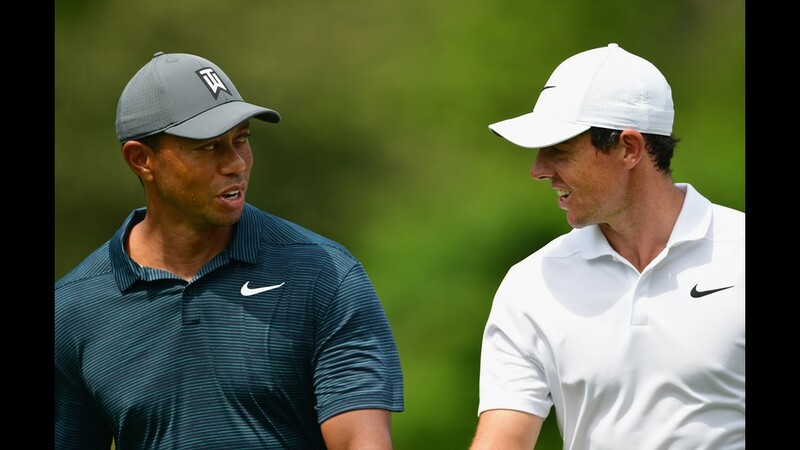 ST LOUIS, MO - AUGUST 09: Tiger Woods of the United States walks with Rory McIlroy of Northern Ireland during the first round of the 2018 PGA Championship at Bellerive Country Club on August 9, 2018 in St Louis, Missouri. 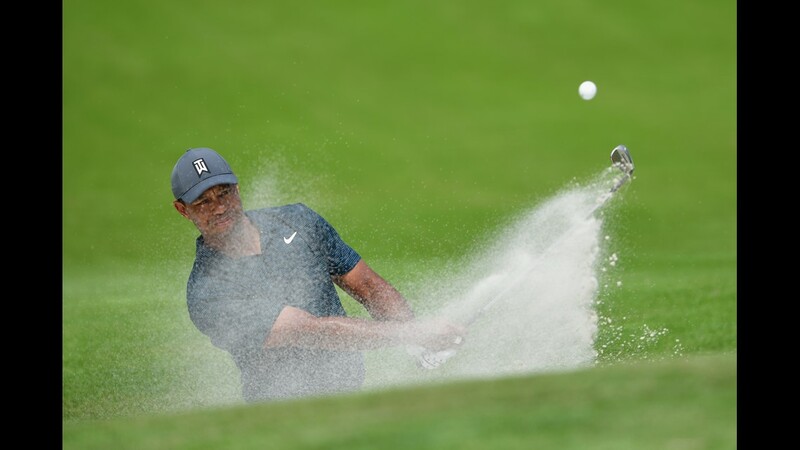 ST LOUIS, MO - AUGUST 09: Tiger Woods of the United States plays a shot from a bunker on the fourth hole during the first round of the 2018 PGA Championship at Bellerive Country Club on August 9, 2018 in St Louis, Missouri. 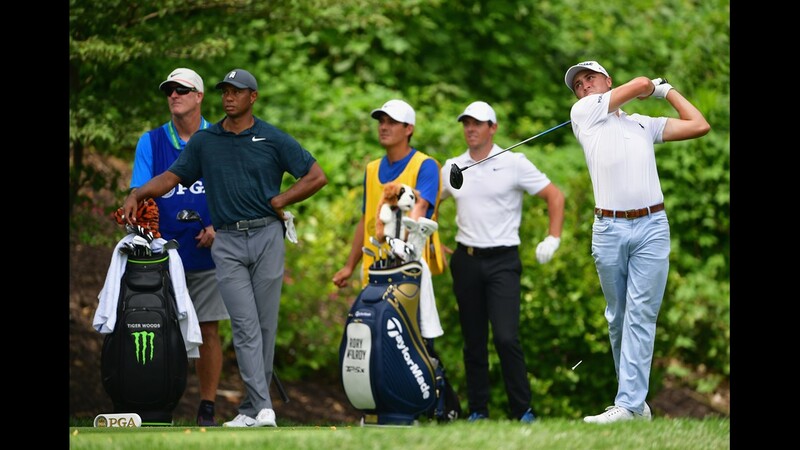 ST LOUIS, MO - AUGUST 09: Justin Thomas of the United States plays his shot from the eighth tee as Tiger Woods and Rory McIlroy look on during the first round of the 2018 PGA Championship at Bellerive Country Club in St Louis, Missouri. 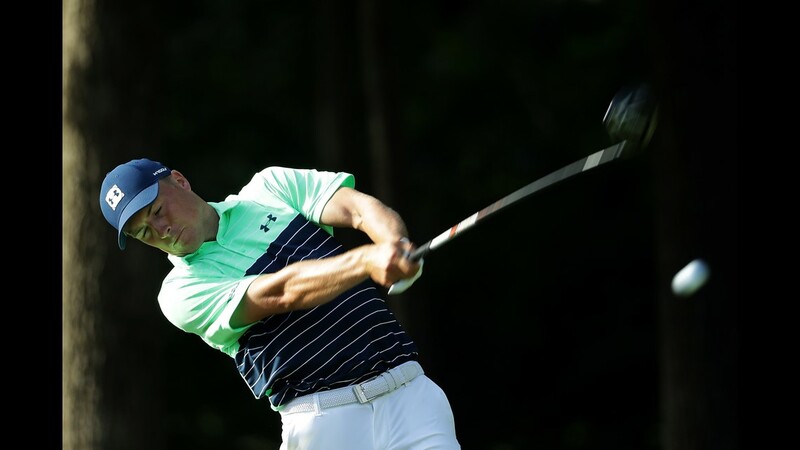 ST LOUIS, MISSOURI - AUGUST 09: Jordan Spieth of the United States plays a shot from the rough on the first hole during the first round of the 2018 PGA Championship at Bellerive Country Club on August 9, 2018 in St Louis, Missouri. 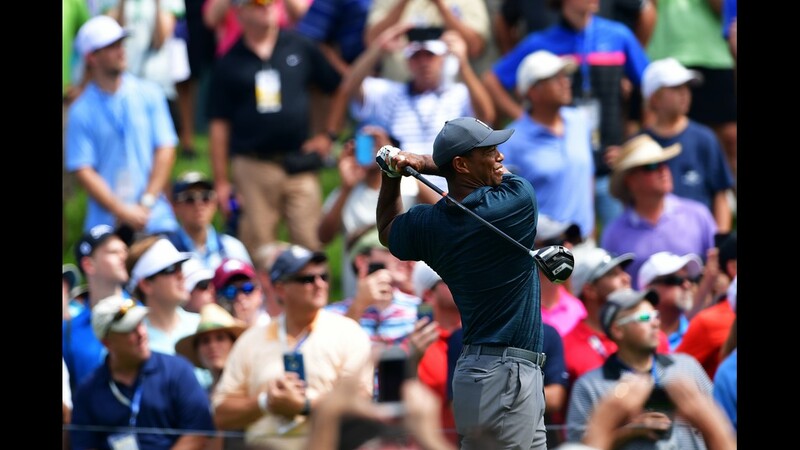 ST LOUIS, MO - AUGUST 09: Tiger Woods of the United States plays his shot from the fourth tee during the first round of the 2018 PGA Championship at Bellerive Country Club on August 9, 2018 in St Louis, Missouri. 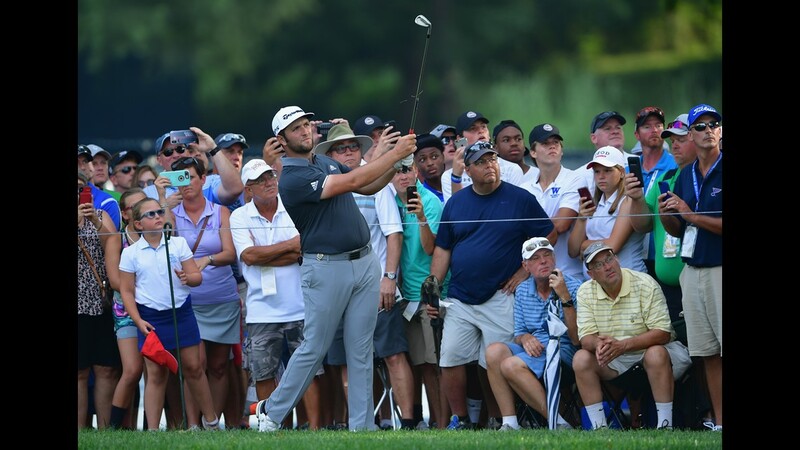 ST LOUIS, MO - AUGUST 09: Jon Rahm of Spain plays a shot during the first round of the 2018 PGA Championship at Bellerive Country Club on August 9, 2018 in St Louis, Missouri. 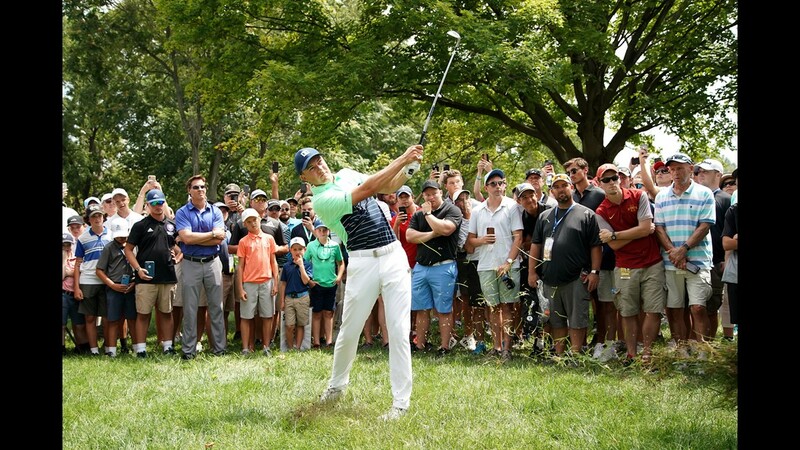 ST LOUIS, MO - AUGUST 09: Jordan Spieth of the United States plays his shot on the 17th tee during the first round of the 2018 PGA Championship at Bellerive Country Club on August 9, 2018 in St Louis, Missouri. 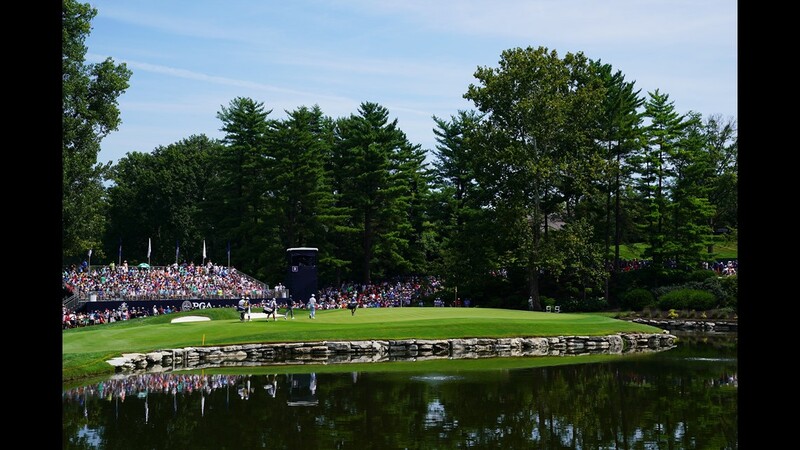 ST LOUIS, MO - AUGUST 09: Alex Noren of Sweden plays a shot on the tenth hole during the first round of the 2018 PGA Championship at Bellerive Country Club on August 9, 2018 in St Louis, Missouri. ST LOUIS, MO - AUGUST 09: Tommy Fleetwood of England plays a shot on the 17th hole during the first round of the 2018 PGA Championship at Bellerive Country Club on August 9, 2018 in St Louis, Missouri. 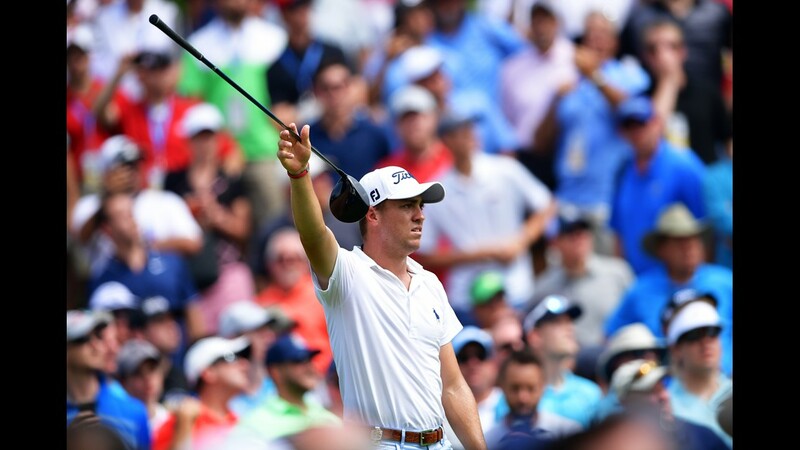 ST LOUIS, MO - AUGUST 09: Justin Thomas of the United States reacts to his shot from the fourth tee during the first round of the 2018 PGA Championship at Bellerive Country Club on August 9, 2018 in St Louis, Missouri. 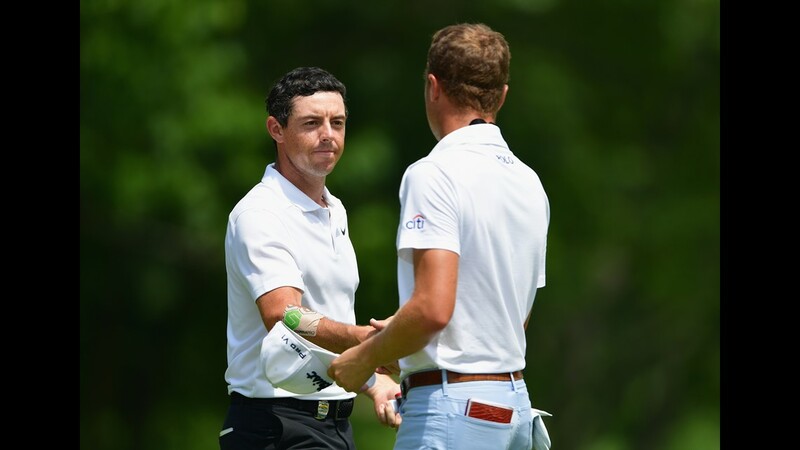 ST LOUIS, MO - AUGUST 09: Rory McIlroy of Northern Ireland shakes hands with Justin Thomas of the United States after finishing on the ninth green during the first round of the 2018 PGA Championship at Bellerive Country Club in St Louis, Missouri. 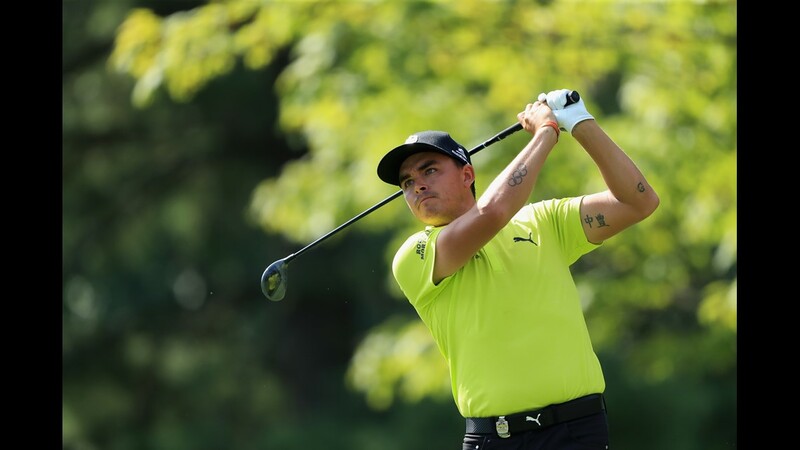 ST LOUIS, MO - AUGUST 09: Rickie Fowler of the United States plays a shot from a bunker on the ninth hole during the first round of the 2018 PGA Championship at Bellerive Country Club on August 9, 2018 in St Louis, Missouri. ST LOUIS, MO - AUGUST 09: Stewart Cink of the United States acknowledges the gallery after making a putt on the 15th green during the first round of the 2018 PGA Championship at Bellerive Country Club on August 9, 2018 in St Louis, Missouri. 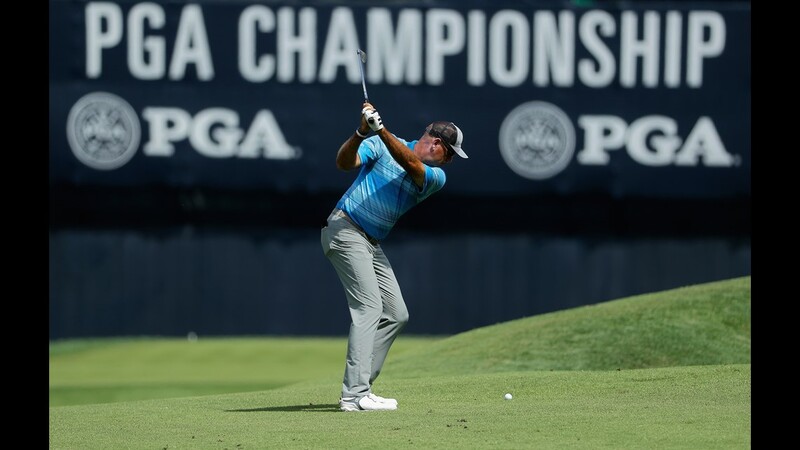 ST LOUIS, MO - AUGUST 09: Rickie Fowler of the United States plays his shot from the second tee during the first round of the 2018 PGA Championship at Bellerive Country Club on August 9, 2018 in St Louis, Missouri. 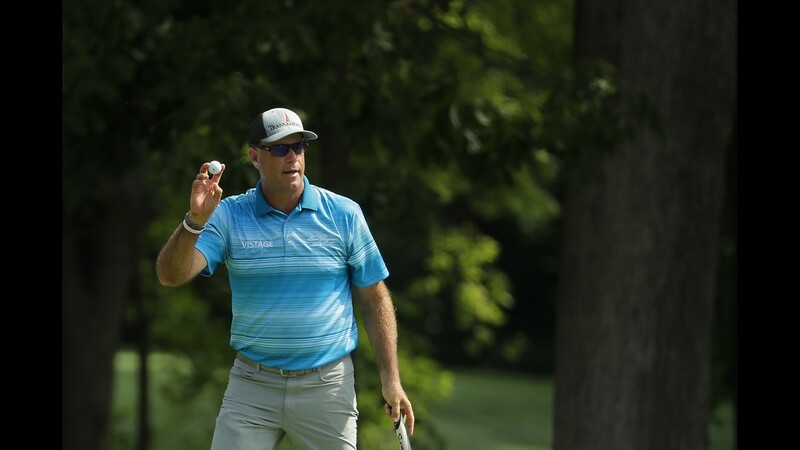 ST LOUIS, MO - AUGUST 09: Stewart Cink of the United States plays a shot on the 18th hole during the first round of the 2018 PGA Championship at Bellerive Country Club on August 9, 2018 in St Louis, Missouri.